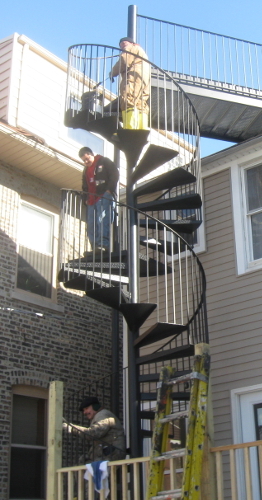 In business since 1952, we have 59 years of experience crafting, building and installing ornamental iron fences and other metal structures in and around Chicago and the suburbs. Our experienced and knowledgeable craftsmen and installers provide excellent workmanship, superior quality and great customer service. We Handcraft our Products In House: Fences - Gates - Railings - Stairways - Fire Escapes - Window Grids - Catwalks - Balconies - Ornamental Iron - Art – Metallic Designs, and virtually anything requiring ornamental iron or other ornamental metallic designs.